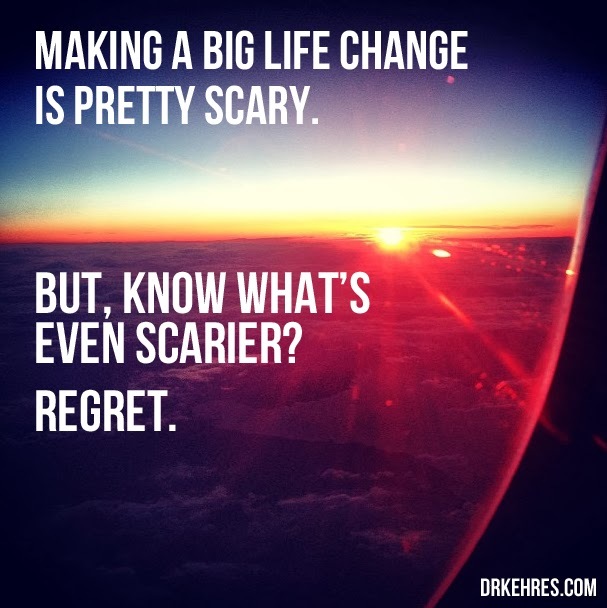 DrKehres.com health blog: Inspiration: Making a big life change is pretty scary. But, know what's even scarier? Regret. Inspiration: Making a big life change is pretty scary. But, know what's even scarier? Regret. "Making a big life change is pretty scary. But, know what's even scarier? Regret." Make your health a priority. That is a regret you never want to have. Midland chiropractic office now open!